Speaker company Sonos doesn't have its own voice assistant. Now it is trying to turn that into its biggest selling point. It announced a new speaker on Wednesday that uses Alexa, Siri (sort of) and Google Assistant (eventually). Instead of building its own voice assistant from scratch, Sonos is positioning itself at a single place where multiple assistants can peacefully co-exist. Sonos is calling it the "sonic internet." The long-term vision is a home filled with multiple, connected Sonos products. A person could use the same device to ask Alexa to order more soap, Siri to send a text message, Google Assistant to look up narhwal facts, and Cortana to add something to their calendar. For now, though, it's still all about Alexa. 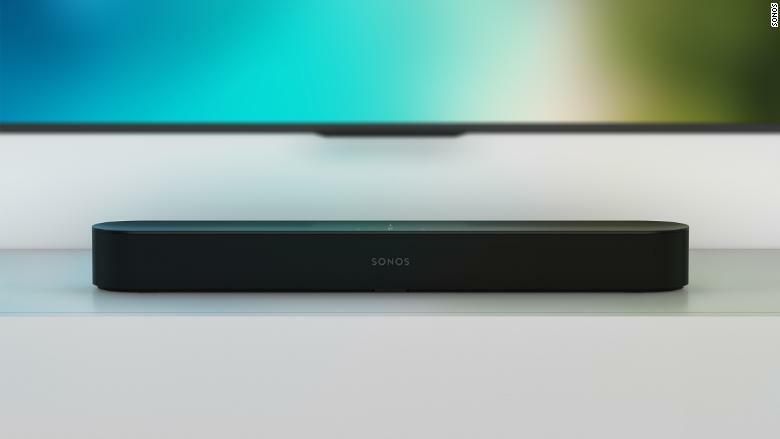 The $399 Beam is a soundbar — a long rectangular device containing multiple speakers, designed specifically for televisions. A little over two-feet long, the speaker comes in black or white and has always-listening speakers. When it's available on July 17, it will work only with Alexa. It has some Siri integration, but you have to start the music with Siri on an iPhone or iPad. After it's playing, you can control it with Alexa commands, such as, "Next song." Sonos is still working with Google on Google Assistant compatibility and doesn't yet have a date for its debut. While Sonos isn't considering building its own "anything assistant," it is open to adding voice controls for specific tasks around music and sound. 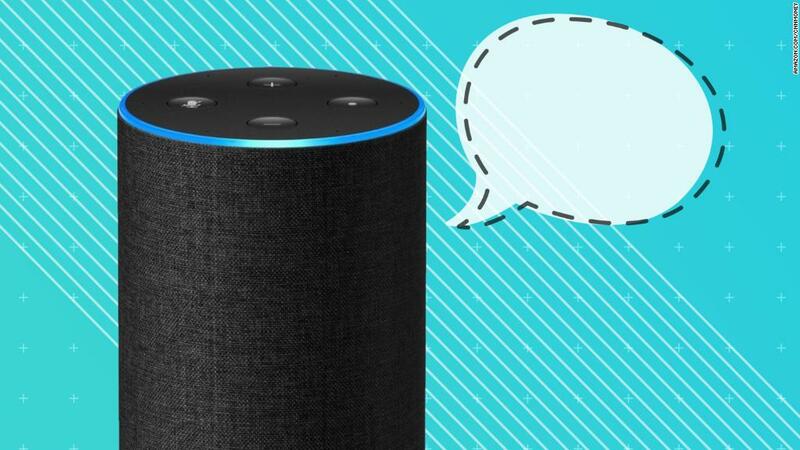 "We'll continue to experiment, but we're definitely not doing our own Alexa or Google Assistant," said Patrick Spence, who took over as CEO last year. Instead of burning money on research and development, Sonos is choosing to not fight that battle, said Forrester analyst James McQuivey. "This lets them jump in quickly, without forcing the tens of millions of early adopters to have to choose between their existing Alexa or Siri habits and a theoretical Sonos assistant," McQuivey said. "Samsung will probably have to cave in and do the same at some point once the company realizes that its Bixby assistant isn't keeping up with the others." In 2014, Sonos seemed to have a lock on the wifi-connected home speaker category. The Santa Barbara based company was making attractive, durable speakers that had a loyal fanbase. Then the biggest tech companies started making their own speakers, all designed around a core killer feature: the voice assistant. Amazon's Echo has Alexa, the Google Home has Google Assistant, and Apple's HomePod is a vehicle for Siri. But by working with third-parties like Sonos, the companies are showing they're interested in more than just moving gadgets. "I haven't found any of those partners unwilling to think about their services being on Sonos, because for most of them, they want to get their services out to as many homes as possible," said Spence. "We're not building the next mobile phone, we're not getting into search, we're not getting into commerce, and so we don't threaten those companies in that way." The 16-year-old company has been here before. When streaming music services first took off, companies were trying to build speakers specifically for individual services. Now smart speakers support multiple music services (except for Apple's tightly controlled HomePod). Sonos is also trying to set itself apart with a different approach to the upgrade cycle. While smartphone owners might get a new device every other year, Sonos says 93% of the speakers it's sold in the past 13 years are still active. "Some investors will look at us and say, that's crazy. You should try to replace them every year," said Spence. "That's not the right thing to do for the long term business, or for the environment, or a whole host of reasons." He doesn't think that particular trend will be picked up by other companies any time soon. "There's such a lack of patience in the world today that I'm highly doubtful that it catches on," said Spence.